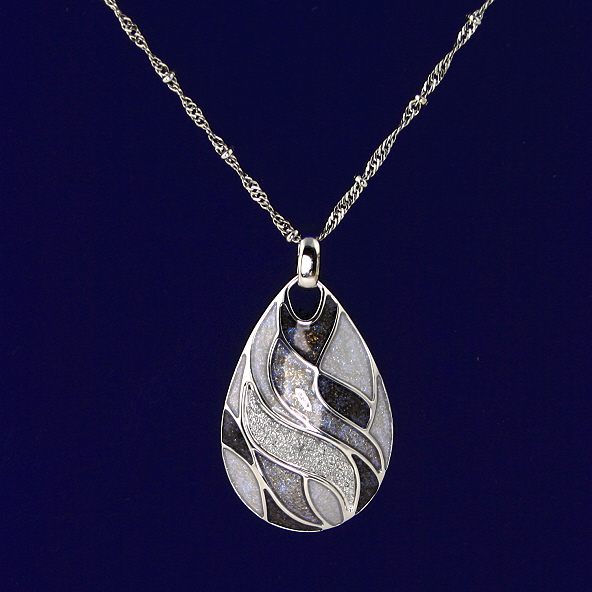 A dramatic silver grey teardrop enamel necklace with sparkles (by Indulgence Jewellery) hanging on a silver twisted chain. The teardrop contains swirling panels of light and dark grey edged in silver with one panel of eye catching sparkles hanging on a light, twisted knot chain. For the lady who loves unusual jewellery this necklace will definitely fit the bill. Adjustable necklace length 16" to 18"